Collette graduated from Psychology (and turned 21!) in July 2018. During her time at University Collette was heavily involved in the Sports Union, representing the ladies Gaelic football team as a player, but also on the committee. Collette loved her time at Magee, and as VP she wants to give something back by making a vibrant SU the heart of the campus - encouraging as many students as possible to get involved. Collette will work with the University to ensure your campus has the best facilities possible, already overseeing a revamp of the spaces during the summer. 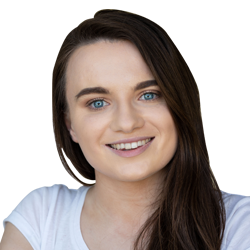 Collette will also be the student lead for all societies and academic representatives – you can find her in the reception at the MG building to help you with any and all queries! 3. Explore the possibility of re-introducing creche facilities on campus for students & staff.